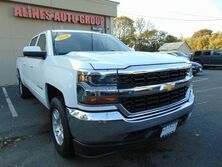 This 2016 Chevrolet Silverado 1500 LT is proudly offered by Alines Auto Sales You appreciate the finer things in life, the vehicle you drive should not be the exception. Style, performance, sophistication is in a class of its own with this stunning Chevrolet Silverado 1500. This vehicle comes with 4WD for better traction on unstable surfaces, like snow and dirt to give you the edge over anything you might encounter on the road. Get a complete and detailed history at no charge on this wonderfully maintained pre-owned vehicle. Rare is the vehicle that has been driven so gently and maintained so meticulously as this pre-owned beauty. Fast and exciting, this Chevrolet Silverado 1500 LT is a true testament to the pursuit of automotive distinction by Chevrolet. Once you're behind the wheel of this incredible machine, you will not think twice about purchasing this vehicle. Equipped with many extra features, this well-appointed vehicle is a treat to drive. Tired of replacing tires? You're in luck. This vehicle just had them replaced for you. This Chevrolet Silverado 1500 LT was well-kept and pampered, which is evident by the flawless condition of its paint. The 2016 Chevrolet Silverado 1500 LT is an especially rare vehicle. So rare that you've probably never experienced anything else like it. The standard wheels have been upgraded to gives this vehicle a whole new style. More information about the 2016 Chevrolet Silverado 1500: The full-size pickup truck segment has never been more popular, or more competitive. With its 2016 Silverado 1500, Chevrolet has staked its claim once again as king of the hill. The 2016 Silverado boasts a refined level of comfort, sophistication and brute force not found in trucks from Ford and Ram, specifically in the all-aluminum range of engines, where Chevy has laid claim to the most fuel-efficient V8 found in a full-size truck. In fact, at 23 mpg on the highway, the 5.3L unit provides a better return than the turbocharged V6 employed in the Ford F-150. Add in the fact that Chevy managed to make so many innovative changes while keeping the base price steady, and it's no surprise that the Silverado is a hit. 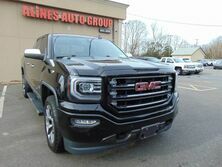 This model sets itself apart with extensive features and options, best fuel economy of any V8 pickup, best-in-class tow ratings, and Improved interior with added comfort and convenience Welcome to Alines Auto Group. 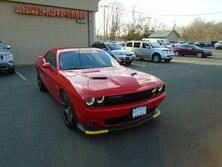 We are a full service New York car dealer located in Patchogue serving the towns of Queens NY, Long Island NY, Brooklyn NY, Connecticut, Elmont NY, Valley Stream NY, Floral Park NY, Woodmere NY, New Hyde Park NY, Franklin Square NY, Lynbrook NY, Rockaway NY, Hempstead NY, Great Neck NY, Garden City NY, Oceanside NY, Albany NY, Amsterdam NY, Auburn NY, Batavia NY, Beacon NY, Binghamton NY, Buffalo NY, Canandaigua NY, Cohoes NY, Corning NY, Cortland NY, Dunkirk NY, Elmira NY, Fulton NY, Geneva NY, Glen Cove NY, Glens Falls NY, Gloversville NY, Hornell NY, Hudson NY, Ithaca NY, Jamestown NY, Johnstown NY, Kingston NY, Lackawanna NY, Little Falls NY, Lockport NY, Long Beach NY, Mechanicville NY, Middletown NY, Mount Vernon NY, New Rochelle NY, New York NY, Newburg NY, Niagara Falls NY, North Tonawanda NY, Norwich NY, Ogdensburg NY, Olean NY, Oneida NY, Oneonta NY, Oswego NY, Peekskill NY, Plattsburg NY, Port Jervis NY, Poughkeepsie NY, Rensselaer NY, Rochester NY, Rome NY, Rye NY, Salamanca NY, Saratoga Springs NY, Schenectady NY, Sherrill NY, Syracuse NY, Tonawanda NY, Troy NY, Utica NY, Watertown NY, Watervliet NY, White Plains NY, Yonkers NY, Adams NY, Addison NY, Afton NY, Alabama NY, Albion NY, Alden NY, Alexander NY, Alexandria NY, Alfred NY, Allegany NY, Allen NY, Alma NY, Almond NY, Altona NY, Amboy NY, Amenia NY, Amherst NY, Amity NY, Amsterdam NY, Ancram NY, Andes NY, Andover NY, Angelica NY, Annsville NY, Antwerp NY, Arcade NY, Arcadia NY, Argyle NY, Arietta NY, Arkwright NY, Ashford NY, Ashland NY, Athens NY, Attica NY, Au Sable NY, Augusta NY, Aurelius NY, Aurora NY, Austerlitz NY, Ava NY, Avoca NY, Avon NY, Babylon NY, Bainbridge NY, Baldwin NY, Ballston NY, Bangar NY, Barker NY, Barre NY, Barrington NY, Barton NY, Batavia NY, Bath NY, Bedford NY, Beekman NY, Beekmantown NY, Belfast NY, Bellmont NY, Bennington NY, Benson NY, Benton NY, Bergen NY, Berkshire NY, Berlin NY, Berne NY, Bethany NY, Bethel NY, Bethlehem NY, Birdsall NY, Black Brook NY, Bleecker NY, Blenheim NY, Blooming Grove NY, Bolivar NY, Bolton NY, Bombay NY, Boonville NY, Boston NY, Bovina NY, Boylston NY, Bradford NY, Brandon NY, Brant NY, Brasher NY, Bridgewater NY, Brighton NY, Bristol NY, Broadalbin NY, Brookfield NY, Brookhaven NY, Broome NY, Brownville NY, Brunswick NY, Brutus NY, Burke NY, Burlington NY, Burns NY, Busti NY, Butler NY, Butternuts NY, Byron NY, Cairo NY, Caledonia NY, Callicoon NY, Cambria NY, Cambridge NY, Camden NY, Cameron NY, Camillus NY, Campbell NY, Canaan NY, Canadice NY, Canajoharie NY, Canadaigua NY, Candor NY, Caneadea NY, Canisteo NY, Canton NY, Cape Vincent NY, Carlisle NY, Carlton NY, Carmel NY, Caroga NY, Caroline NY, Carroll NY, Carrollton NY, Castile NY, Catharine NY, Catlin NY, Cato NY, Caton NY, Catskill NY, Cayuta NY, Cazenovia NY, Champion NY, Champlain NY, Charleston NY, Charlotte NY, Chateaugay NY, Chatham NY, Chazy NY, Cheektowaga NY, Chemung NY, Chenango NY, Cherry Creek NY, Cheek Valley NY, Chester NY, Chesterfield NY, Chili NY, Cicero NY, Cincinnatus NY, Clare NY, Clarence NY, Clarendon NY, Clarkson NY, Clarkston NY, Clarksville NY, Claverack NY, Clay NY, Clayton NY, Clermont NY, Clifton NY, Clifton Park NY, Clinton Ny, Clymer NY, Coblekill NY, Cochecton NY, Coeymans NY, Cohocton NY, Colchester NY, Colden NY, Coldspring NY, Colesville NY, Collins NY, Colonie NY, Colton NY, Columbia NY, Concord NY, Conesus NY, Conesville NY, Conewango NY, Conklin NY, Conquest NY, Constable NY, Constantia NY, Copake NY, Corinth NY, Corning NY, Cornwall NY, Cortlandt NY, Cortlandville NY, Coventry NY, Covert NY, Covington NY, Coxsackie NY, Crawford NY, Croghan NY, Crown Point NY, Crown Point NY, Cuba NY, Cuyler NY, Danby NY, Dannemora NY, Dansville NY, Danube NY, Davenport NY, Day NY, Dayton NY, De Kalb NY, De Peyster NY, De Ruyter NY, DeWitt NY, Decatur NY, Deerfield NY, Deerpark NY, Delaware NY, Delhi NY, Denmark NY, Denning NY, Deposit NY, Diana NY, Dickinson NY, Dix NY, Dover NY, Dresden NY, Duane NY, Duanesburg NY, Dunkirk NY, Dunkirk NY, Durham NY, Eagle NY, East Bloomfield NY, East Fishkill NY, East Fishkill NY, East Greenbush NY, East Hampton NY, East Otto NY, East Rochester NY, Eastchester NY, Easton NY, Eaton NY, Eden NY, Edinburg NY, Edmeston NY, Edwards NY, Elba NY, Elbridge NY, Elizabethtown NY, Ellenburg NY, Ellery NY, Ellicott NY, Ellicottville NY, Ellington NY, Ellisburg NY, Elima NY, Elmira NY, Enfield NY, Ephratah NY, Erin NY, Erwin NY, Esopus NY, Esperance NY, Essex NY, Evans NY, Exeter NY, Fabius NY, Fairfield NY, Fallsburg NY, Farmersville NY, Farmington NY, Fayette NY, Fenner NY, Fenton NY, Fine NY, Fishkill NY, Fleming NY, Florence NY, Florida NY, Floyd NY, Forestburgh NY, Forestport NY, Fort Ann NY, Fort Covington NY, Ford Edward NY, Fowler NY, Frankfort NY, Franklin NY, Franklinville NY, Freedom NY, Freetow NY, Fremont NY, French Creek NY, Friendship Ny, Fulton NY, Gaines NY, Gainesville NY, Galen NY, Gallatin NY, Galway NY, Gardiner NY, Gates NY, Geddes NY, Genesee Falls NY, Geneseo NY, Genoa NY, German NY, German Flatts NY, Germantown NY, Gerry NY, Ghent NY, Gilboa NY, Glenville NY, Gorham NY, Goshen NY, Gouverneur NY, Grafton NY, Granby NY, Grand Island NY, Granger NY, Granville NY, Great Valley NY, Greece NY, Green Island NY, Greenburgh NY, Greene NY, Greenfield NY, Greenport NY, Greenville NY, Greenwich NY, Greenwood NY, Greig NY, Groton NY, Grove NY, Groveland NY, Guilderland NY, Guilford NY, Hadley NY, Hague NY, Halcott NY, Halfmoon NY, Hamburg NY, Hamden NY, Hamilton NY, Hamlin NY, Hammond NY, Hampton NY, Hamptonburgh NY, Hancock NY, Hannibal NY, Hanover NY, Hardenburgh NY, Harford NY, Harmony NY, Harpersfield NY, Harrietstown NY, Harrisburg NY, Harrisburg NY, Harrison NY, Hartford NY, Hartland NY, Hartsville NY, Hartwick NY, Hastings NY, Haverstraw NY, Hebron NY, Hector NY, Hempstead NY, Henderson NY, Henrietta NY, Herkimer NY, Hermon NY, Highland NY, Highlands NY, Hillsdale NY, Hinsdale NY, Holland NY, Homer NY, Hoosick NY, Hope NY, Hopewell NY, Hopkinton NY, Horicon NY, Hornby NY, Hornellsville NY, Horseheads NY, Hounsfield NY, Howard NY, Hume NY, Humphrey NY, Hunter NY, Huntington NY, Hurley NY, Huron NY, Hyde Park NY, Independence NY, Indian Lake NY, Inlet NY, Ira NY, Irondequoit NY, Ischua NY, Islip NY, Italy NY, Ithaca NY, Jackson NY, Jasper NY, Java NY, Jay NY, Jefferson NY, Jerusalem NY, Jewett NY, Johnsburg NY, Johnstown NY, Junius NY, Keene NY, Kendall NY, Kent NY, Kiantone NY, Kinderhook NY, Kingsbury NY, Kingston NY, Kingston NY, Kirkland NY, Kirkwood NY, Knox NY, Kortright NY, LaFayette NY, LaGrange NY, Lake George NY, Lake Luzerne NY, Lake Pleasant NY, Lancaster NY, Lansing NY, Lapeer NY, Laurens NY, Lawrence NY, Le Ray NY, Le Roy NY, Lebanon NY, Ledyard NY, Lee NY, Leicester NY, Lenox NY, Leon NY, Lewis NY, Lewisboro NY, Lewiston NY, Lexington NY, Leyden NY, Liberty Ny, Lima NY, Lincklaen NY, Lincoln NY, Lindley NY, Lisbon NY, Lisle NY, Litchfield NY, Little Falls NY, Little Valley NY, Livingston NY, Livonia NY, Lloyd NY, Locke NY, Lockport NY, Lodi NY, Lorraine NY, Louisville NY, Lowville NY, Lumberland NY, Lyme NY, Lyndon NY, Lyons NY, Lyonsdale NY, Lysander NY, Macedon NY, Machias NY, Macomb NY, Madison NY, Madrid NY, Maine NY, Malone NY, Malta NY, Mamakating NY, Mamaroneck NY, Manchester NY, Manheim NY, Manlius NY, Mansfield NY, Marathon NY, Marbletown NY, Marcellus NY, Marcy NY, Marilla NY, Marion NY, Marlborough NY, Marshall NY, Martinsburg NY, Maryland NY, Masonville NY, Massena NY, Mayfield NY, McDonough NY, Mendon NY, Mentz NY, Meredith NY, Mexicon NY, Middleburgh NY, Middlefield NY, Middlesex NY, Middletown NY, Milo NY, Milton NY, Mina NY, Minden NY, Minerva NY, Minetto NY, Minisink NY, Mohawk NY, Moira NY, Monroe NY, Montague NY, Montezuma NY, Montgomery NY, Montour NY, Mooers NY, Moreau NY, Moravia NY, Morehouse NY, Moriah NY, Morris NY, Morristown NY, Mount Hope NY, Mount Kisco NY, Mount Morris NY, Mount Pleasant NY, Murray NY, Nanticoke NY, Naples NY, Napoli NY, Nassau NY, Nelson NY, Neversink NY, New Albion NY, New Baltimore NY, New Berlin, New Bremen, New Castle NY, New Hartford NY, New Haven NY, New Hudson NY, New Lebanon NY, New Lisbon NY, New Paltz NY, New Scotland NY, New Scotland NY, New Windsor NY, Newark Valley NY, Newburgh NY, Newcomb NY, Newfane NY, Newfield NY, Newport NY, Newstead NY, Niagara NY, Nichols NY, Niles NY, Niskayuna NY, Norfolk, North Castle NY, North Collins NY, North Dansville NY, North East NY, North Elba NY, North Greenbush NY, North Harmony NY, North Hempstead NY, North Hudson NY, North Norwich NY, North Salem NY, Northampton NY, Northumberland NY, Norway NY, Norwich NY, Nunda NY, Oakfield NY, Ogden NY, Ohio NY, Olean NY, Olive NY, Oneonta NY, Onondaga NY, Orange NY, Orangetown NY, Orangeville NY, Orchard Park NY, Orleans NY, Orwell NY, Osceola NY, Ossian NY, Ossining NY, Oswegatchie NY, Oswego NY, Otego NY, Otisco NY, Otsego NY, Otselic NY, Otto NY, Ovid NY, Owasco NY, Owego NY, Oxford NY, Oyster Bay NY, Palatine NY, Palermo NY, Palmyra NY, Pamelia NY, Paris NY, Parish NY, Parishville NY, Parma NY, Patterson NY, Pavilion NY, Pawling NY, Pelham NY, Pendleton NY, Pembroke NY, Pendleton NY, Penfield NY, Perinton NY, Perry NY, Perrysburg NY, Persia NY, Perth NY, Peru NY, Petersburg NY, Pharsalia NY, Phelps NY, Philadelphia NY, Philipstown NY, Piercfield NY, Pierrepont NY, Pike NY, Pinckney NY, Pine Plains NY, Pitcairn NY, Pitcher NY, Pittsfield NY, Pittsford NY, Pittstown NY, Plainfield NY, Plattekill NY, Plattsburg NY, Pleasant Valley NY, Plymouth NY, Poestenkill NY, Poland NY, Pomfret NY, Pompey NY, Portage NY, Porter NY, Portland NY, Portville NY, Potsdam NY, Potter NY, Poughkeepsie NY, Pound Ridge NY, Prattsburgh NY, Prattsville NY, Preble NY, Preston NY, Princetown NY, Providence NY, Pulteney NY, Putnam NY, Putnam Valley NY, Queensbury NY, Ramapo NY, Randolph NY, Rathbone NY, Reading NY, Redhook NY, Red House NY, Redfield NY, Remsen NY, Rensselaerville NY, Rhineback NY, Richfield, Richford NY, Richland NY, Richmond NY, Richmondville NY, Ridgeway NY, Riga NY, Ripley NY, Riverhead NY, Rochester NY, Rockland NY, Rodma NY, Romulus NY, Root NY, Rose NY, Roseboom NY, Rosendale NY, Rossie NY, Rotterdam NY, Roxbury NY, Royalton NY, Rush NY, Rushford NY, Russell NY, Russia NY, Rutland NY, Rye NY, Salamanca NY, Salem NY, Salina NY, Salisbury NY, Sand Lake NY, Sandy Creek NY, Sanford NY, Sangerfield NY, Santa Clara NY, Sanford NY, Sangerfield NY, Santa Clara NY, Saranac NY, Saratoga NY, Sardinia NY, Saugerties NY, Savannah NY, Scarsdale NY, Schaghticoke NY, Schodack NY, Schoharie NY, Schroeppel NY, Schroon NY, Schuyler NY, Schuyler Falls NY, Scio NY, Scipio NY, Scott NY, Scriba NY, Sempronius NY, Seneca NY, Seneca Falls NY, Sennett NY, Seward NY, Shandaken NY, Sharon NY, Shawangunk NY, Shelby NY, Sheldon NY, Shelter Island NY, Sherburne NY, Sheridan NY, Sherman NY, Sidney NY, Skaneateles NY, Smithfield NY, Smithtown NY, Smithville NY, Smyrna NY, Sodus NY, Solon NY, Somers NY, Somerset NY, South Bristol NY, South Valley NY, Southampton NY, Southeast NY, Southold NY, Southport NY, Spafford NY, Sparta NY, Spencer NY, Springfield NY, Springport NY, Springwater NY, St. Armand NY, St. Johnsville NY, Stafford NY, Stamford NY, Stanford NY, Stark NY, Starkey NY, Stephentown NY, Sterling NY, Steuben NY, Stillwater NY, Stockbridge NY, Stockholm NY, Stockport NY, Stockton NY, Stony Creek NY, Stony Point NY, Startford NY, Stuyvesant NY, Sullivan NY, Summerhill NY, Summit NY, Sweden NY, Taghkanic NY, Taylor NY, Theresa NY, Thompson NY, Throop NY, Thurman NY, Thurston NY, Ticonderoga NY, Tioga NY, Tompkins NY, Tonawanda NY, Torrey NY, Trenton NY, Triangle NY, Troupsburg NY, Truxton NY, Tully NY, Tupper Lake NY, Turin NY, Tuscarora NY, Tusten NY, Tuxedo NY, Tyre NY, Tyrone NY, Ulster NY, Ulysses NY, Unadilla NY, Union NY, Union Vale NY, Urbana NY, Van Etten NY, Varick NY, Venice NY, Vernon NY, Verona NY, Vestal NY, Veteran NY, Victor NY, Victory NY, Vienna NY, Villenova NY, Virgil NY, Volney NY, Waddington NY, Wales NY, Wallkill NY, Walton NY, Walworth NY, Wappinger NY, Ward NY, Warren NY, Warrensburg NY, Warsaw NY, Warwick NY, Washington NY, Waterford NY, Waterloo NY, Watertown NY, Watson NY, Waverly NY, Wawarsing NY, Wawayanda NY, Wayland NY, Wayne NY, Webb NY, Webster NY, Wells NY, Wellsville NY, West Almond NY, West Bloomfield NY, West Monroe NY, West Seneca NY, West Sparta NY, West Turin NY, West Union NY, Westerlo NY, Western NY, Westfield NY, Westford NY, Westmoreland NY, Westport NY, Westville NY, Wethersfield NY, Wheatfield NY, Wheatland NY, Wheeler NY, White Creek NY, Whitehall NY, Whitestown NY, Willet NY, Willsboro NY, Wilmington NY, Wilna NY, Wilson NY, Wilton NY, Windham NY, Windsor NY, Winfield NY, Wirt NY, Wolcott NY, Woodbury NY, Woodhull NY, Woodstock NY, Worcester NY, Worth NY, Wright NY, Yates NY, York NY, Yorkshire NY, Yorktown NY, Ansonia CT, Bridgeport CT, Bristol CT, Danbury CT, Derby CT, Groton CT, Hartford CT, Meriden CT, Middletown CT, Milford CT, New Britain CT, New Haven CT, New London CT, Norwalk CT, Norwich CT, Shelton CT, Stamford CT, Torrington CT, Waterbury CT, West Haven CT, West Haven CT, Winsted CT, Fairfield CT, Hartford CT, Litchfield CT, Middlesex CT, New Haven CT, New London CT, Tolland CT, Windham CT, Andover CT, Ansonia CT, Ashford CT, Avon CT, Barkhamsted CT, Beacon Falls CT, Berlin CT, Bethany CT, Bethel CT, Bethlehem CT, Bloomfield CT, Bolton CT, Bozrah CT, Branford CT, Bridgeport CT, Bridgeport CT, Bridgewater CT, Bristol CT, Brookfield CT, Brooklyn CT, Burlington CT, Canaan CT, Canterbury CT, Canton CT, Chaplin CT, Cheshire CT, Clinton CT, Colchester CT, Colebrook CT, Columbia CT, Cornwall CT, Coventry CT, Cromwell CT, Danbury CT, Darien CT, Deep River CT, Derby CT, Durham CT, East Granby CT, East Haddam CT, East Hampton CT, East Hartford CT, East Haven CT, East Lyme CT, East Windsor CT, Eastford CT, Easton CT, Ellington CT, Enfield CT, Essex CT, Fairfield CT, Farmington CT, Franklin CT, Glastonbury CT, Goshen CT, Granby CT, Greenwich Ct, Griswold CT, Groton CT, Guilford CT, Haddam CT, Hamden CT, Hampton CT, Hartford CT, Hartland CT, Harwinton CT, Hebron CT, Hartford CT, Kent CT, Killingly CT, Killingworth CT, Lebanon CT, Ledyard CT, Lisbon CT, Litchfield CT, Lyme CT, Madison CT, Manchester CT, Mansfield CT, Marlborough CT, Meriden CT, Middlebury CT, Middlefield CT, Middletown CT, Milford CT, Monroe CT, Montville CT, Morris CT, Naugatuck CT, New Britain CT, New Canaan CT, New Fairfield CT, New Hartford CT, New Haven CT, New London CT, New Milford CT, Newington CT, Newtown CT, Norfolk CT, North Branford CT, North Branford CT, North Canaan CT, North Haven CT, North Stonington CT, Norwalk CT, Norwich CT, Old Lyme CT, Old Saybrook CT, Orange CT, Oxford CT, Plainfield CT, Plainville CT, Plymouth CT, Pomfret CT, Portland CT, Preston CT, Prospect CT, Putnam CT, Redding CT, Ridgefield CT, Rocky Hill CT, Roxbury CT, Salem CT, Salisbury CT, Scotland CT, Suffield CT, Thomaston CT, Thompson CT, Tolland CT, Torrington CT, Trumbull CT, Union CT, Vernon CT, Voluntown CT, Wallingfod CT, Warren CT, Washington CT, Waterbury CT, Waterford CT, Watertown CT, West Hartford CT, West Haven CT, Westbrook CT, Weston CT, Westport CT, Wetherfield CT, Willington CT, Wilton CT, Winchester CT, Windham CT, Windsor CT, Windsor Locks CT, Wolcott CT, Woodbridge CT, Woodbury CT, Woodstock CT and Mineola NY. We take pride in the quality used inventory that we carry that include Audi, BMW, Buick, Cadillac, Chevrolet, Chrysler, Dodge, Ford, Honda, Hyundai, Infiniti, Jaguar, Jeep, Kia, Mercedes-Benz, Nissan, Scion and Toyota. The cars, SUVs, minivans, trucks and pickups we carry are inspected and often may be eligible for the many extended service contracts & warranties we offer. Our finance department has relations with most banks and lending institutions in NY and will help you get a car loan at affordable payments. We provide sub-prime financing too and in most cases your credit history may not be a problem as you might think! 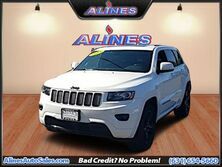 At Alines Auto Group, we believe you can get financed with good, bad or no credit history at all. Our used car service & auto repair facility located in Patchogue is equipped with the latest equipment to handle domestic and imported car servicing. We also offer state-of-the-art auto detailing services that will make any used car look brand new. Call (631) 654 5660 to get a quote from our auto detailing professionals and see your vehicle transformed with a sparkling new look. 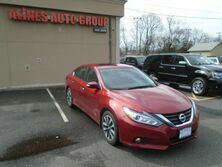 Long Island Used Cars customers love the no pressure sales experience at Alines Auto Group. Here at Alines Auto Group one of the Long Island Used Cars Dealers in your area, our mission is treat every visitor like an honored guest in our home, but to the Long Island customers we serve it is much more than a mission statement. 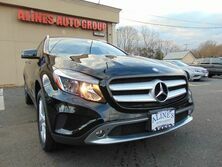 Our Patchogue Used Cars customers quickly learn that shopping at Alines Auto Group means being treated with respect and not having to negotiate or visit multiple Patchogue Used Cars Dealers to get the price you deserve. Being treated like family means that when shopping at LI Used Cars Dealers such as Alines Auto Group, you'll get real price quotes on the LI Used Cars you're looking for when you request it. These ways of doing business have helped us stand out from LI Used Cars Dealers and our Used Cars LI customers here in LI and throughout the entire state of New York choose Alines Auto Group. 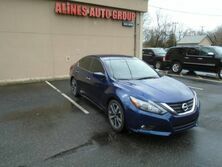 At Alines Auto Group we also consider ourselves to be one of the premier Used Cars Long Island dealers as well. 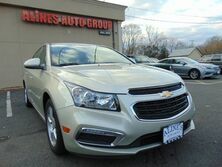 Alines Auto Group maintains a large selection of quality Used Cars Patchogue driven vehicles for used Patchogue shoppers to choose from. At Alines Auto Group we believe that all customers deserve quality, reliable Used Cars Long Island vehicles and we have the inventory and finance options to make it happen. 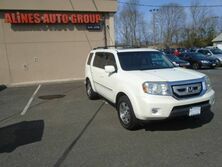 We also welcome you to our Used Cars Service Long Island center for all your maintenance and repair needs.